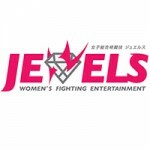 After a massive 8.9-magnitude earthquake struck off the coast of Japan at approximately 2:45 P.M. local time, Jewels has cancelled “Twelfth Ring.” The event had been scheduled to take place this evening at Shinjuku FACE in Tokyo, but the country is currently reeling from earthquake damage. It is currently unknown whether “Twelfth Ring” will be postponed or cancelled outright. Japan is presently under a severe tsunami warning, with threats of an additional large-scale earthquake and powerful aftershocks to follow as well. MMARising.com extends its best wishes to Japan at this time.